The sinking of The Titanic on her maiden voyage in 1912 continues to fascinate people. The story unfolds like a Greek tragedy and has been the subject of many poems, both at the time and since. The ship sank 104 years ago and laws were changed afterwards, such as enough lifeboats for everyone. The worst casualties were among third class passengers setting off for a new life in America, many of them Irish. Cruelly, women and children were split from husbands and fathers by the old rule ‘women and children first’, even where there was room in the lifeboats. 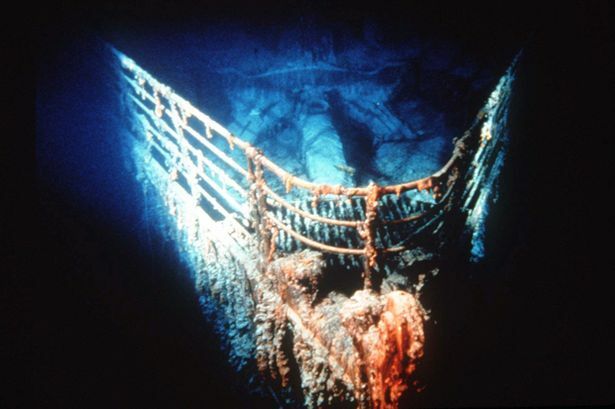 Abigail Wyatt writes about the widows of the Titanic. Over the next few days, I will be featuring some contemporary poems and prose pieces about it. Thanks are due to their authors for allowing me to publish their work. the sloping of a shoulder, the tilt or thrust of a chin. to be dishevelled and hemmed by this dark. and this great, proud ship breaks its spine. the weight of silence presses down on us. now we shiver and we cannot take it in. our splendour is the wealth of the grave. our drowned hearts will forever be in weeds. all things to its cool element. folded, laundered shirts are stained. outlives the stoles of women. The champagne may still be drinkable. pairs of boots point outward toes. Rusticles hang like crystallised tears. in and out the rusty portholes. Poem for the sinking of the Titanic, 100 years ago tonight. I originally created this process drama for a Poetry Society Poets-in-schools placement at a school in Standish. 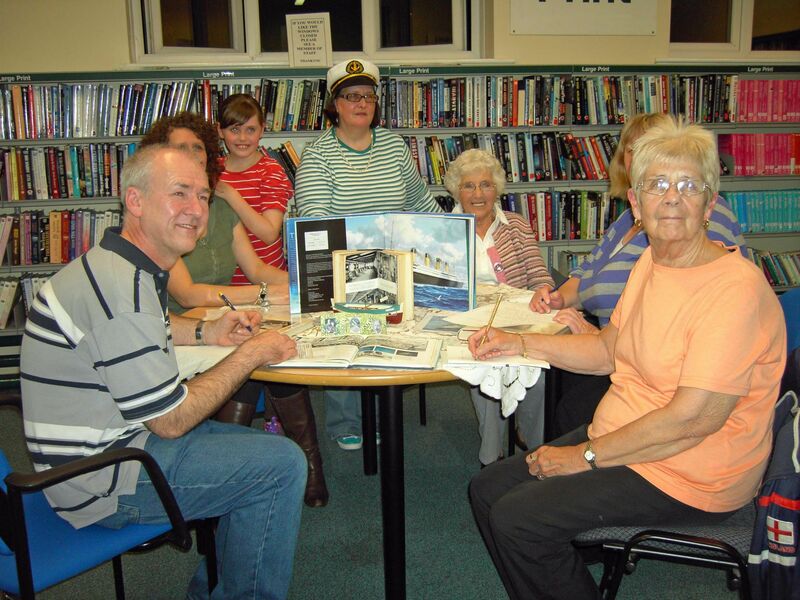 It took me weeks of work – no internet in those days – to do the research as each participant is given their own role card so that they can retrace the journey of a real person who was on The Titanic on her maiden voyage in 1912, when she struck an iceberg and sank after an agonising two hours, into the depths of the frozen Atlantic ocean. I found Walter Lord’s book A Night to Remember the most useful and detailed guide to the events of that terrible night when so many people died needlessly because the ship’s owners had rashly believed that their ship was unsinkable because of the watertight chambers its designer Thomas Andrews included. There were insufficient lifeboats, although there was no breach of the law, and there had been no drill. Furthermore the lifeboats were all in the first class area. Consequently lower classes were far less likely to survive, the ship’s crew were not priorities and staff like the band, the hairdressers, cooks and so on counted very little in the stakes. Whole families were lost from third class, and from first class, because of the rule women and children first, some noteable men of the time went down with their ship. John Jacob Aster and Ben Guggenheim were among those men who defiantly put on their dinner suits and went down ‘like gentlemen’. The participants were wonderful, really joined in and went for it, although none of them had ever done such a thing before. Essentially, process drama is everyone making up a play together in accordance with a structure designed in advance. Everyone is in role, including the leader, which is why you see me wearing my Captain’s hat – Captain Smith manages the drama from within. I can come out of role when needed by removing the signifier. The workshop culminates in the writing of a poem or story in role. The whole drama is carried out with the utmost respect and can be very moving. 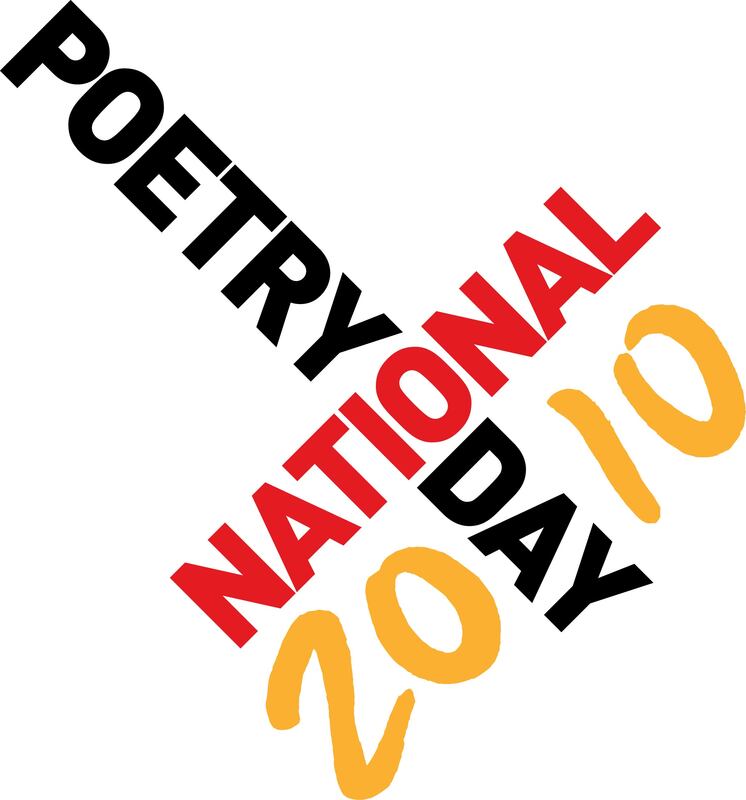 National Poetry Day is almost here, except it is so successful it has turned into National Poetry Week, or even month. And I love that it happens so close to my birthday: it feels like poetry has a birthday close to mine. There are so many great events going on round the country that there is bound to be something for everyone, and even just sitting at home reading poetry is fantastic, if you can’t get out to anything. There’s over 2000 years of poetry to choose from. The Poetry Society has a wonderful director for NPD, Jo Bell, who is passionate about sharing poetry with everyone. There are many goodies on the Poetry Society website. But I thought it would be fun if I posted a poem a day on this year’s theme, HOME. And invited others to post their favourite quotations about HOME as well. So I am opening up my blog to all my readers, come on, share. Tuesday sees me leading my first day for The National Education Trust (Able Writers) in Stocks Green Primary in Kent. I will be trying to teach them how to write good poetry. I am hoping to be taken on as one of their writers, so fingers crossed for me please. I am taking Elizabeth Bishop along to help me, via her exquisite poem, ‘The Fish’. 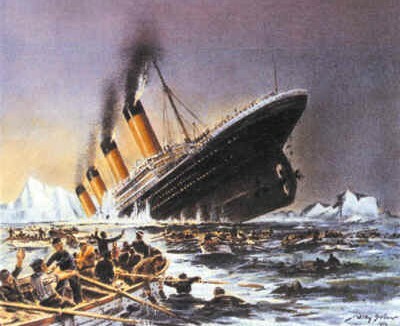 Wednesday is back up North to lead a process drama on the sinking of The Titanic. This is at Denton Library from 6-8pm. It’s usually a very moving experience and some wonderful poems have come out of it in the past. Each participant gets a ticket to sail, and follows the story of a real life passenger. The final poem uses the voice of that passenger. Many were lost and it’s in the lap of the gods whether you survive, so I do end with a debriefing. I promise it will be fun. Thursday, the actual day, sees me in Lichfield, where I will be taking part in their festival by touring local schools with my Salt children’s poetry book, The New Generation. Entertaining 100 children at a time for 45 mins will be a challenge. It takes me back to the Bees Knees events a bunch of us did back in the nineties, led by madcap Gary Boswell, when we did events all over the country with our best-selling anthologies The Bees Knees and The Bees Sneeze. Some of those poets are still friends today. Friday, back home and starting my once a month evening classes: Creative Writing and Creative Reading. I haven’t taught for the WEA for a long time and it will be nice to get back to it. The course is only £36 and will culminate in a anthology and a reading for the participants. It’s all a far cry from when I was teaching, and reading poetry to my classes as well as running workshops for year 7 and a whole school poetry competition. Not that that wasn’t great fun as well!